Luxurious and personalised travel experiences in the city-state for all travellers. THE CLIENT: A fashionista wishing to go on a shopping expedition with a difference – each element must be tailored and customised to suit her preferences. THE SOLUTION: Enjoy exclusive shopping with a local designer, and the store manager of her favourite luxury brand. DREAM ITINERARY: Start with bespoke tailoring services by the founder of Fuchsia Lane, Vivienne Lin, in the comfort of her hotel suite. She can try on the existing collection or have a handmade design specially created for her. Vivienne imbues East Asian influences into her contemporary designs. The pieces also feature the signature invisible stitching of lace appliqué, proudly done in-house by the artisans, and can be couriered to back to her country. Otherwise, enjoy a private shopping excursion on Orchard Road with St. Regis Singapore, where one of the many designer stores that ply the street will be opened just for her, with the store manager helping her curate her wardrobe. CELEBRITY INSPIRATION: Nicole Kidman has reportedly stayed in the Presidential Suite. A famous figure in the Singapore hotel, social and charity scene and the boardroom, Jennie Chua, has also been known to wear Vivienne Lin’s designs. PRICE TAG: The Ladies First VIP Club requires a minimum purchase of about US$400. The lavish Presidential Suite at St. Regis is available at about US$12,000 per night and the shopping excursion will cost US$880. 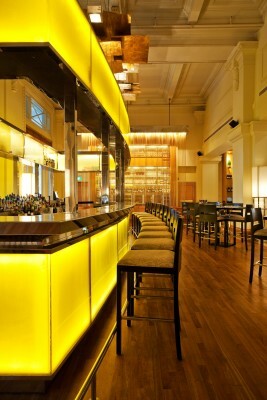 THE CLIENT: Not only does this gourmand want to dine at the city’s most spectacular establishments, he has also heard much about the burgeoning cocktail culture in Singapore. THE SOLUTION: The epicure can find solace in the city’s list of fine dining restaurants helmed by celebrity chefs. The newest entrants to this list are Gordon Ramsay’s Bread Street Kitchen, to be opened this year, and David Thompson’s Long Chim, which opened towards the end of last year. DREAM ITINERARY: Start with a degustation dinner at Waku Ghin, one of Asia’s 50 Best Restaurants, at Marina Bay Sands. Pair this with a sake recommendation from Chef Tetsuya, the only Sake Ambassador outside Japan. Bar Nebula at One˚15 Marina (one15marina.com) overlooks the water plied with glorious yachts and has an extensive collection of wines, single malt whiskies and glorious cocktails. At The Fullerton Hotel’s Post Bar, order a 12 Year Courvoisier VSOP cognac (about US$192) if you’re so inclined and take to the garden terrace for a smoke with the bar’s range of cigars. CELEBRITY INSPIRATION: Marina Bay Sands’ celebrity-studded restaurants include Wolfgang Puck’s Cut, Justin Quek’s Sky on 57, Daniel Boulud’s db Bistro Moderne and Tetsuya Wakuda’s Waku Ghin. Post Bar has been visited by several celebrities including former footballer Craig Bellamy. Bollywood and Kollywood celebrities like Amesha Amit Patel and Arjun Sarja have visited Nebula Bar. PRICE TAG: The 10-course degustation dinner at Waku Ghin will cost about US$392. The most expensive drink at Nebula is the Louis XIII that costs US$4,879 per bottle. 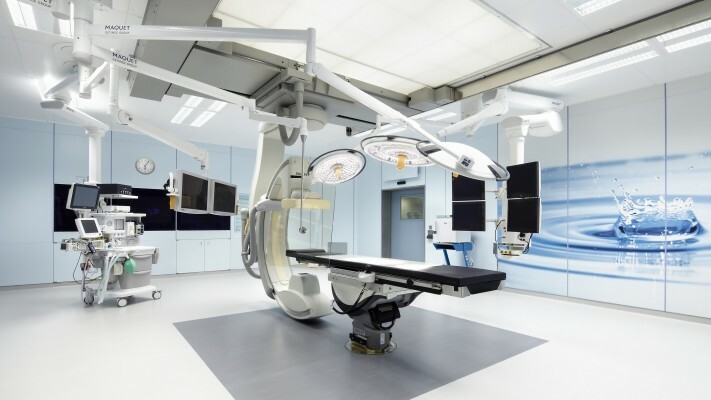 THE CLIENT: Wishing to do a confidential non-invasive procedure, this client requires the utmost discretion while still experiencing the best of Singapore. Her travel, accommodation, dietary and even sightseeing arrangements can be made right from Mount Elizabeth Novena to ensure a worry-free stay. Pair this with bespoke spa treatments, handcrafted, skin-sensitive products and tailor-made skincare. DREAM ITINERARY: Choose one of the Regal Suites in Mount Elizabeth Novena with luxurious bath and entertainment amenities, a personal nurse and a 24h butler who would take care of any necessary arrangements. Working around skin sensitivity, Mandy T, a local company will create small batches of freshly handcrafted products. This might include a aromatic body scrub, body or hand soap. The Premium Gift sets will cost about US$159. While recovering, tailor personalised spa treatments from SkinInc, such as the award-winning 90min Sculptfit Treatment. This helps her achieve a more toned and svelte figure without any downtime. 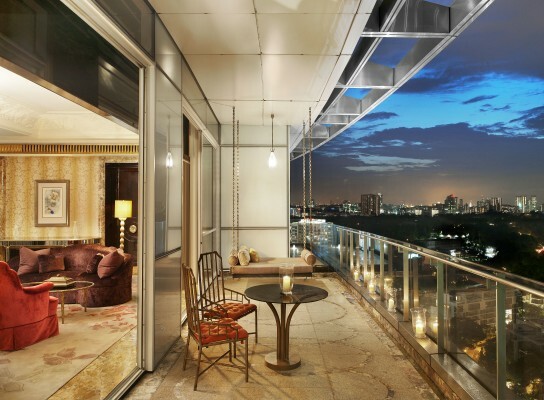 PRICE TAG: The Regal Suite will cost about US$6,750 per night. The SkinInc Sculpfit Treatment will cost about US$294 for an hour-long treatment. THE CLIENTS: Recently retired, the couple’s dream is to see the world in high style, staying in the most luxurious suites as well as interesting cultural tours around the city. THE SOLUTION: It’s hard to beat a flight in the country’s flagship carrier Singapore Airlines’ Suite Class, followed by the Chairman Suite at Marina Bay Sands. The 629sqm suite offers some of the best views of the Singapore city skyline from its premium position on the 53rd and 54th floors. It also includes a massage room, hairdressing salon facilities, a personal gym and a baby grand piano. Pair this with some of the best attractions, arranged by some of the most reputable hotels in the city. 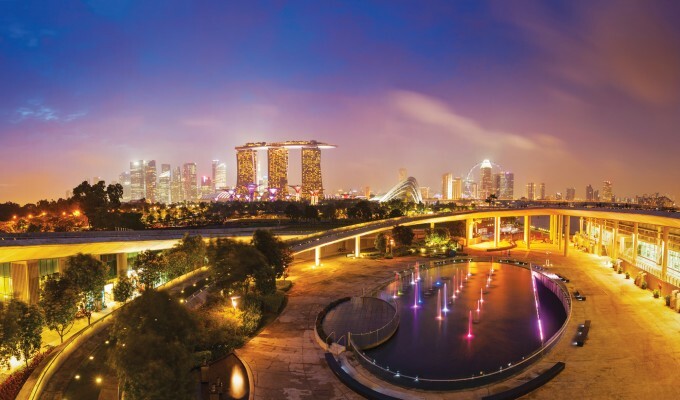 DREAM ITINERARY: Visit the National Museum of Singapore in a private tour offered by Capella Singapore to see the 11 National Treasures of the city. Complete this glimpse into the rich cultural history of the city with a St. Regis Aficionado experience – The Peranakan Legacy at the Intan. The experience is led by a local Baba Alvin Yapp, who started his collection of Peranakan antiques when he was 18 in his quest to learn more about his heritage. His private collection at The Intan includes an intricatelyand extravagantly decked ancestral altar, mother-of-pearl furniture and personalised silver sireh or betel leaf boxes. Taste some authentic pastries baked by your knowledgeable guide’s mother and bring home an exquisite memento – a Peranakan turndown. CELEBRITY INSPIRATION: Marina Bay Sands has recently welcomed David Beckham who was here for the Spirit of Giving with a Festive Light-Up extravaganza. PRICE TAG: The Chairman Suite will cost about US$16,000 and is only available for invited guests. Private tours of the museum will cost about US$120 for an hour, while the Peranakan experience will cost about US$1,000. THE CLIENTS: A family of six comprising two grandparents, their parents and their teenage grandchildren who wish to experience Sentosa’s attractions in luxury without having to wait hours in line. restaurants, all on the island. DREAM ITINERARY: Skip the queues and enjoy a VIP tour at Universal Studios Singapore at Resorts World Sentosa. Take the various rides over and over with their Unlimited Express Pass applicable to all attractions, and enjoy exclusive backstage tours with the Backstage Pass. 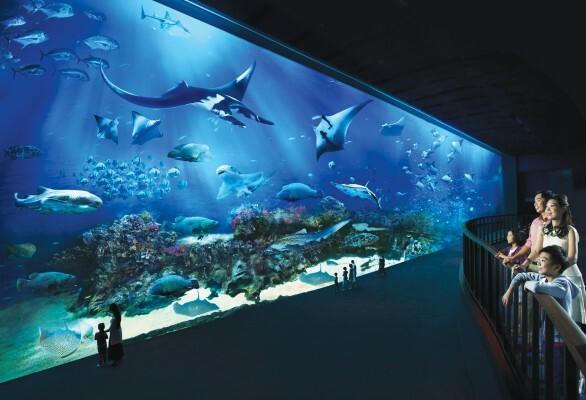 Enjoy a 3h VIP exclusive guided tour of the S.E.A Aquarium, with privileged access to some of the areas to feed the animals and a chance to have the aquarium all to themselves. Wrap up the experience on the island with a first in Asia exclusive – the JetPack – where guests reach up to 30ft above Sentosa with the JetLev water-propelled jet pack at SeaBreeze Water Sports at the Wave House Sentosa. CELEBRITY INSPIRATION: Wind down the thrilling day with a dinner in one of the nine celebrity chef restaurants, including the recently opened Syun, helmed by Hal Yamashita. PRICE TAG: VIP passes for USS and SEA Aquarium will cost about US$2,188 for six guests. First officer training for the JetPack experience that includes both basic and advanced training with a first officer for an hour will cost about US$238 per person. This post first appeared on our sister site, Inspire Travel.